The Cranleigh Group started in 1967 with three riders, three helpers and two ponies. By 1970 the Group had expanded and Mr. & Mrs. Tom Sewell lent a large potato barn as an indoor school at Casi’s Farm, Rowly Drive. 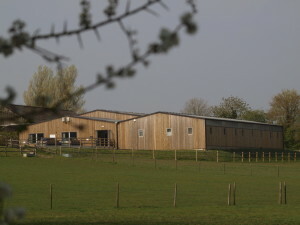 In 1984 Cranleigh Group had the opportunity of buying the farm plus 10 acres of land. 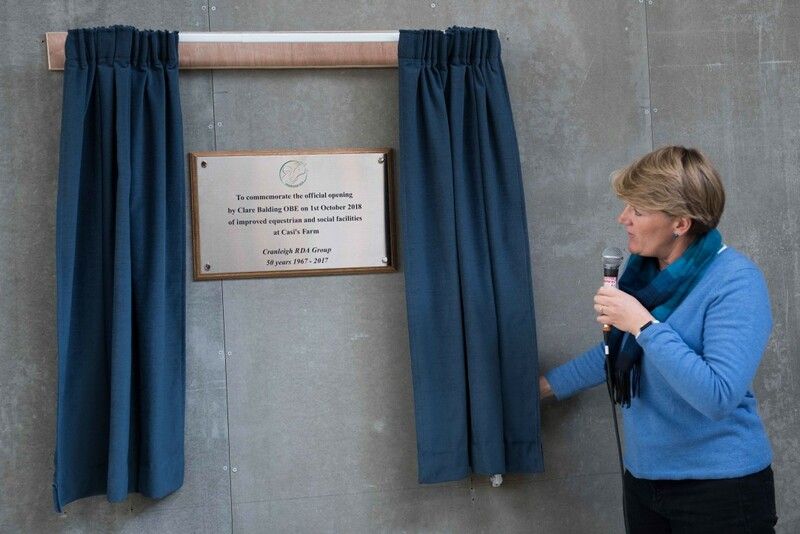 A successful appeal was launched and as a result 12 internal stables, a tack room and a rest room were built and officially opened by HRH Princess Anne, the Patron of RDA. 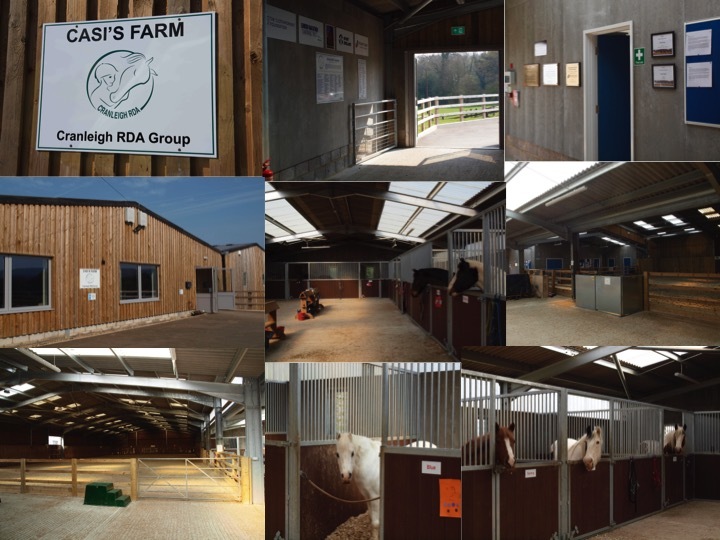 After another big appeal and fundraising event, the indoor school was built in RDA Jubilee year enabling riders to enjoy the facilities in all weathers. In March 2015 we launched a fresh appeal to raise money to rebuild our social area and stable block. We are very pleased to announce that our building programme at Casi’s Farm is complete, the culmination of our Riding High Campaign. Our newly improved facilities offer a lighter, brighter environment and more space for riding and are being fully appreciated by all our users. Our new building was officially opened by Clare Balding on the 1st October 2018. Today using our nine ponies, with over 190 highly committed volunteers are involved in giving rides to over 200 adults and children, from an extensive area around Guildford and Cranleigh and stretching south into West Sussex. 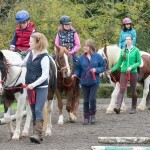 We operate fourteen different sessions each week with riders coming from seven Special Schools and five Adult Centres as well as many others who come independently. In addition to their normal weekly rides, our riders have the opportunity to compete at Hickstead in Dressage and take part in Regional Challenge days and we know that riding greatly enhances their quality of life by expanding their capabilities and offering challenges they can achieve. 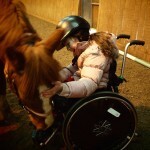 Riding offers a degree of independence that many disabled people cannot have in their daily life. There are also medical advantages – the warmth and three dimensional movement of the horse is transmitted through the rider’s body, gradually making it more relaxed and supple, reducing spasticity and improving balance, posture and co-ordination. The movement of the pelvis influences the lumbar region and is transferred up the spine thus encouraging control of the trunk and head. Riding a horse makes mobility possible. From the elevated position on its back, riders have an opportunity to see more than would otherwise be possible for them. The experience our riders gain through the contact they have with our ponies also helps to create a great sense of achievement and confidence. We hope that this will, in turn, make their lives easier and more fulfilled. Through the commitment of volunteers, RDA enables people with disabilities to ride to benefit their health and well being and to achieve their goals.